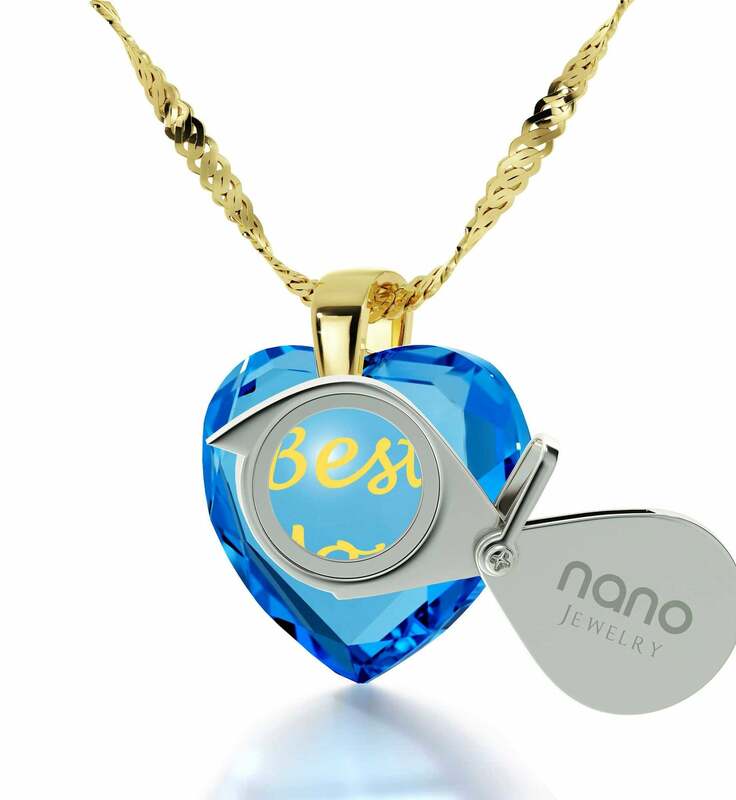 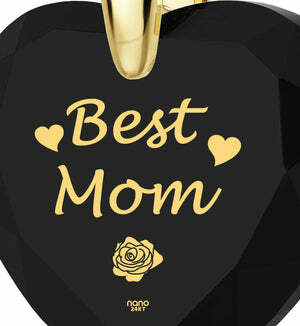 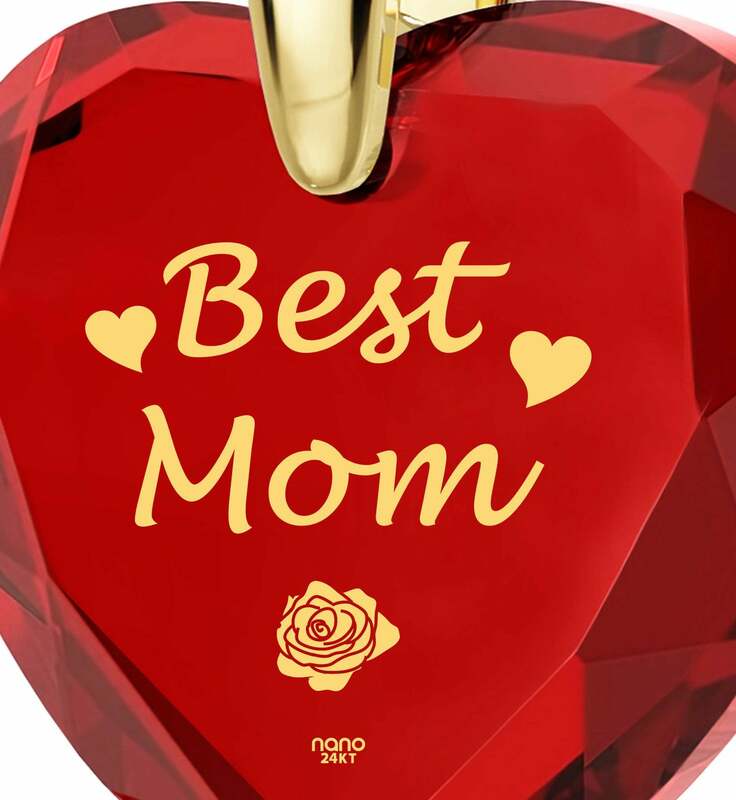 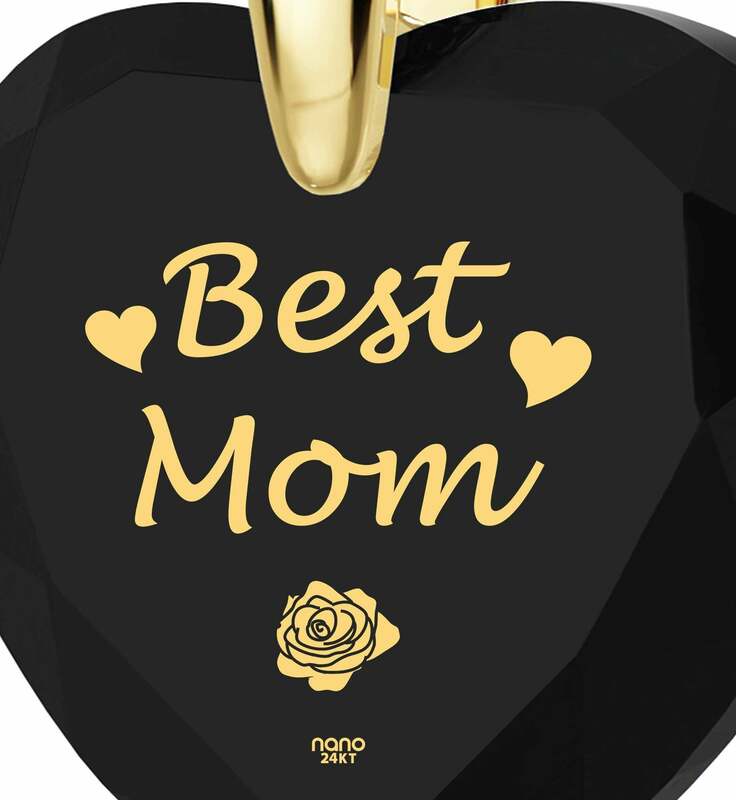 Good presents for Mom – Amaze Mom Today with Nano Jewelry! 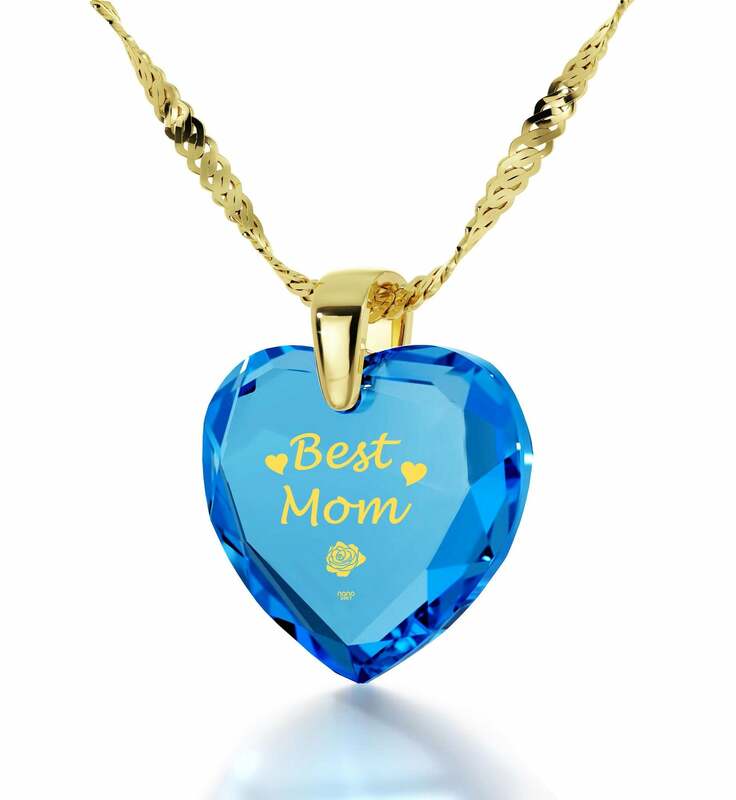 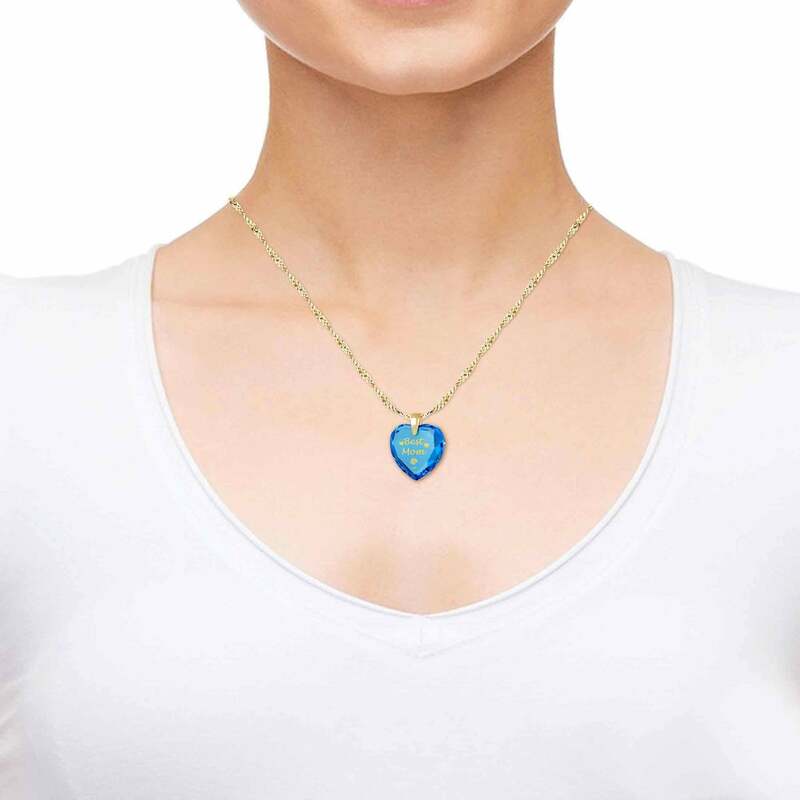 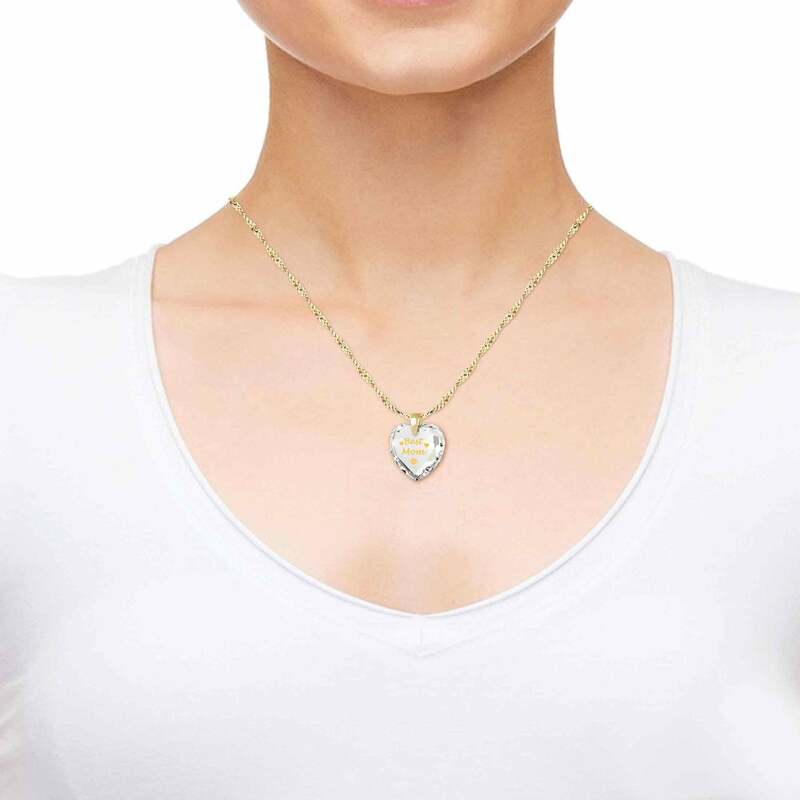 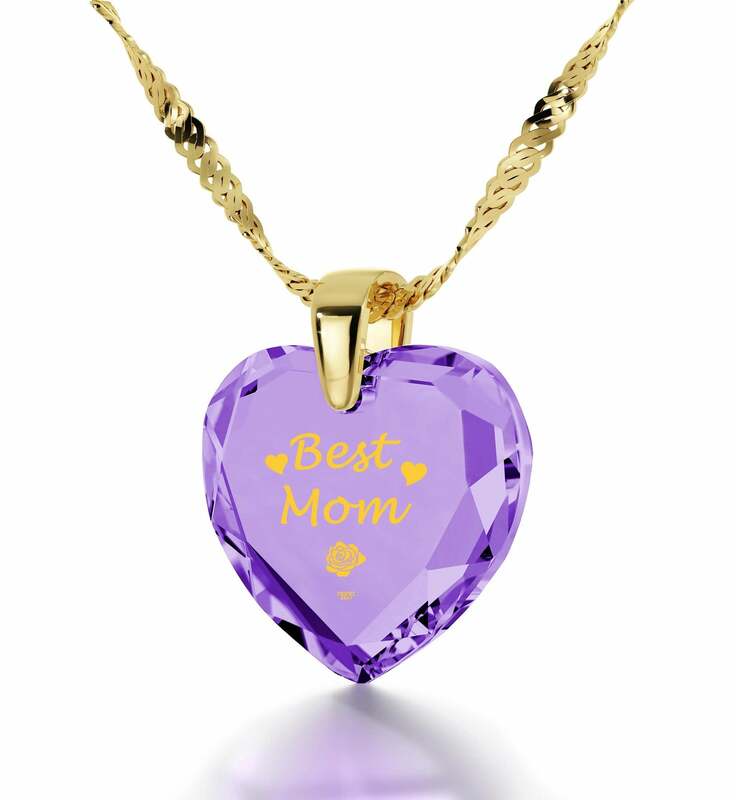 Make mom’s world brighter with this cubic zirconia necklace! 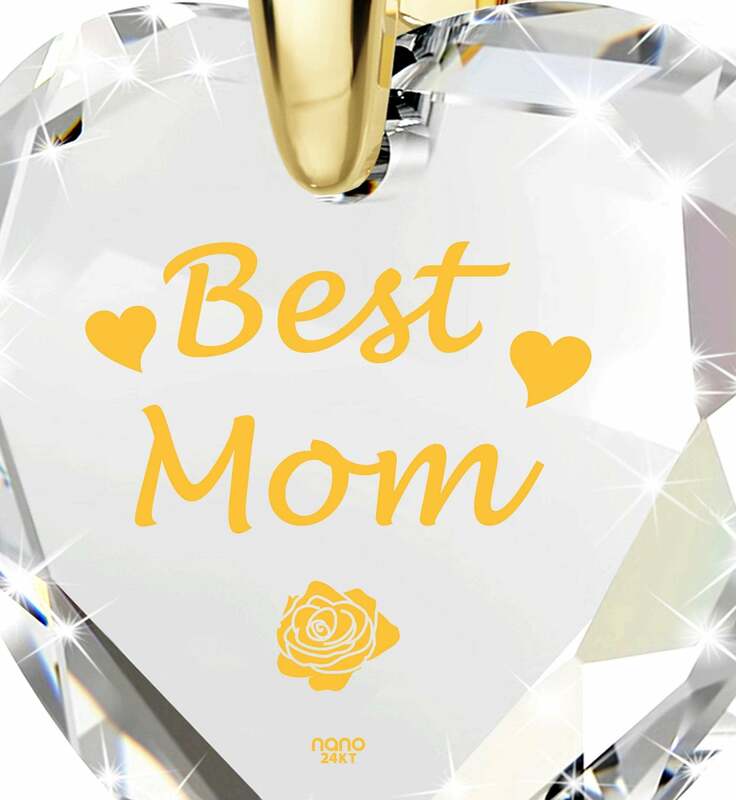 Picking out the right present for your mom can be tricky, especially if you’re looking for something like a 60th birthday gift for her that celebrates the amazing person she is and her life’s work with dignity and elegance. 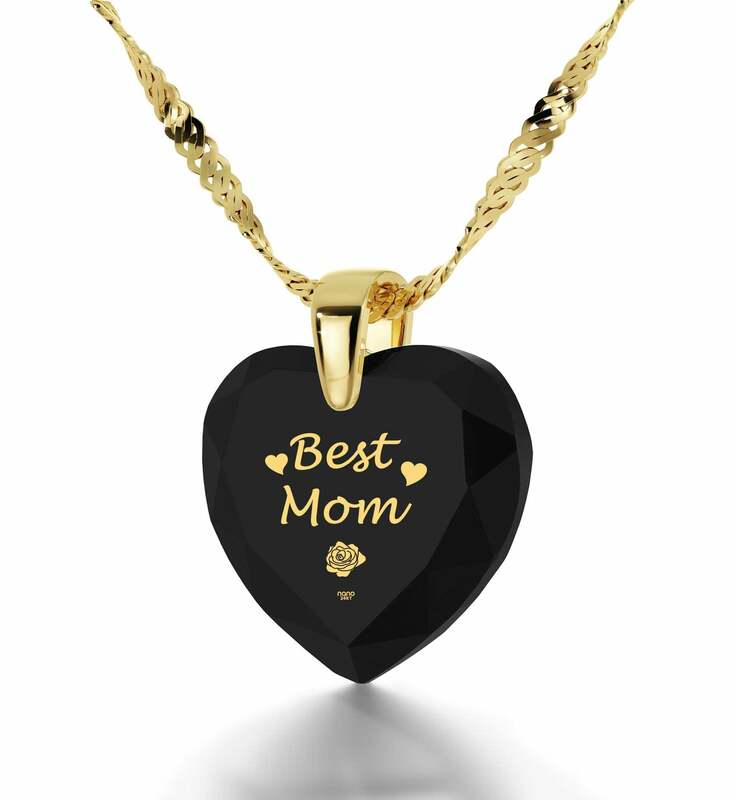 Putting effort and emotion behind it is what turns a good present for mom into something really special, like this one-of-a-kind necklace unlike any other. 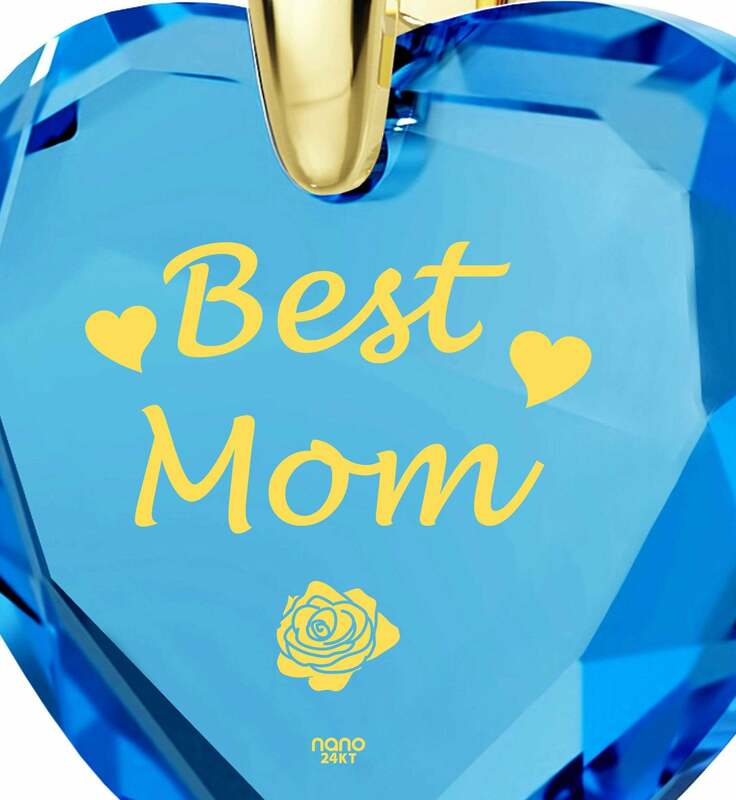 We aren’t exaggerating – sure, its womens gold chain and bail leave no doubt when the quality of its make is concerned, but that certainly isn’t its highlight. To discover that, she’ll have to take a closer look at the 24k pure gold inscription on its vibrant cubic zirconia gemstone. 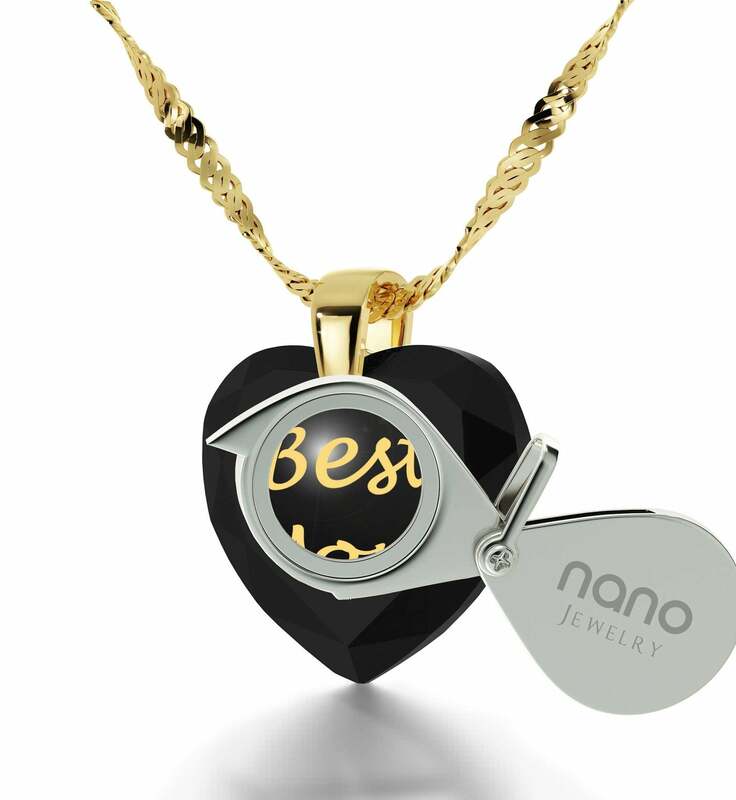 The inscription is made to last forever and can’t be copied since no one else in the world has the means to make such intricate golden designs possible. This makes it not only an unusual gift for her, but a genuinely special one at that. 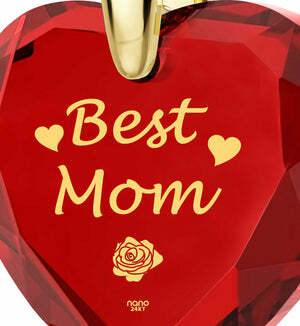 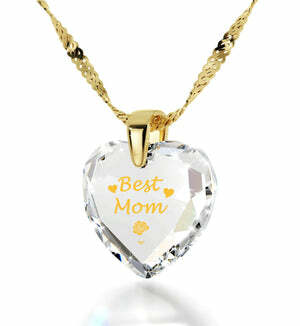 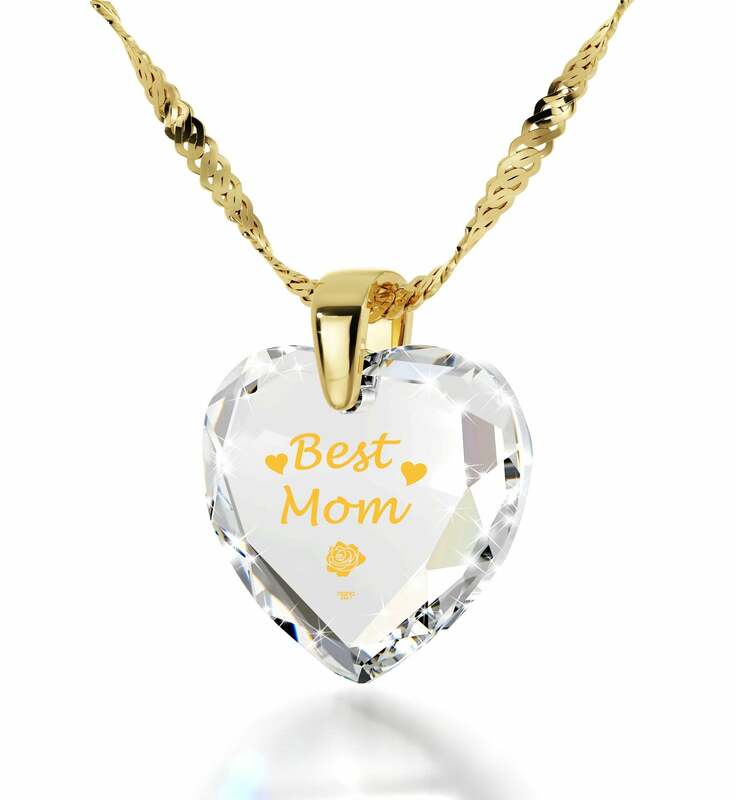 Inscribed are the loving words "Best Mom” in flowing golden script along with two hearts and a small rose. 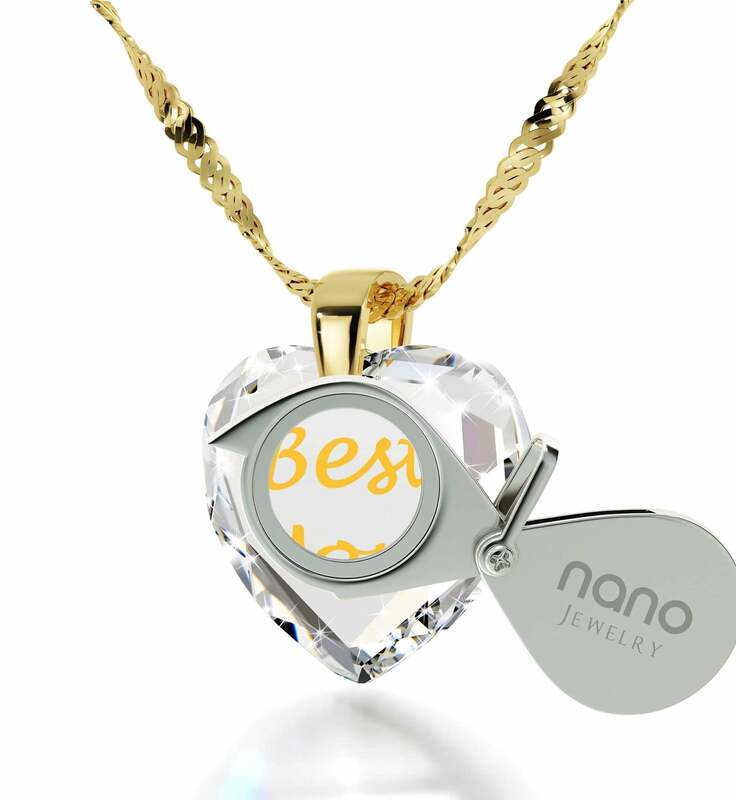 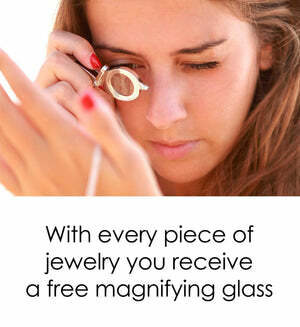 She’ll love reading the message again and again, and we’ve made it easier on her by including a special magnifying glass as part of this top gift for mom. 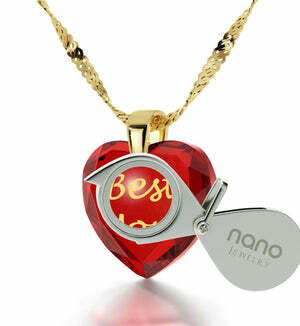 As befits the best womens gifts, the necklace comes with a stylish box that completes the ensemble. 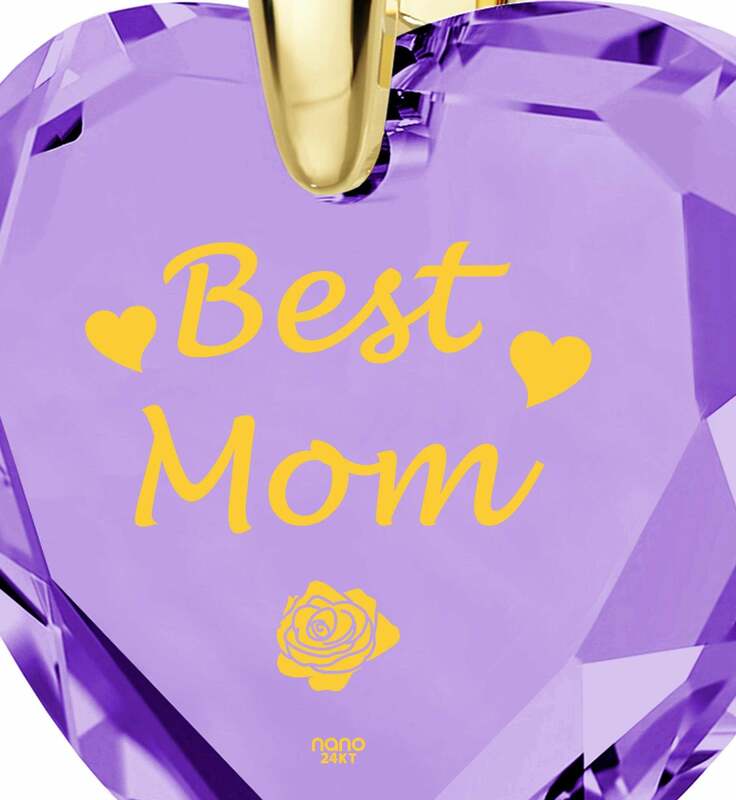 All that’s left is for you to organize an eventful day for her and make this gift the high-point to an unforgettable experience.